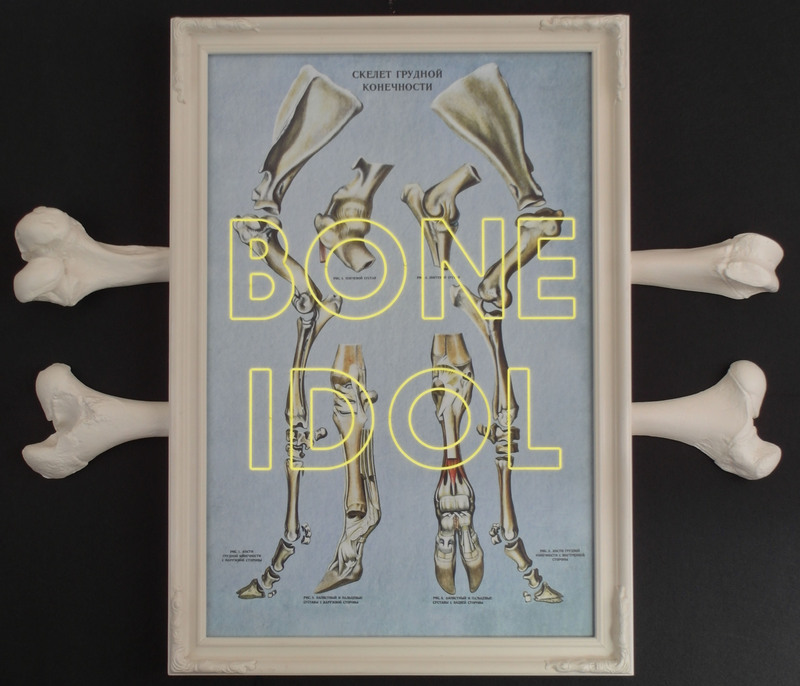 Bone Idol is a latter day totem, where the Flintstones meet sanitised Voodoo. Constructed from disparate elements, this work combines mid-century Soviet veterinary anatomical graphics with a citrus yellow electroluminescent text inlay. The enclosure itself is constructed from clinically prepared cow thigh bones integrated into a conventional hard wood moulding, the whole being lacquered in a uniform bone coloured satin varnish. This creates an almost factory moulded frame that pays homage to the Hannah Barbara cartoon character Pebbles and her dinosaur bone hair decoration. 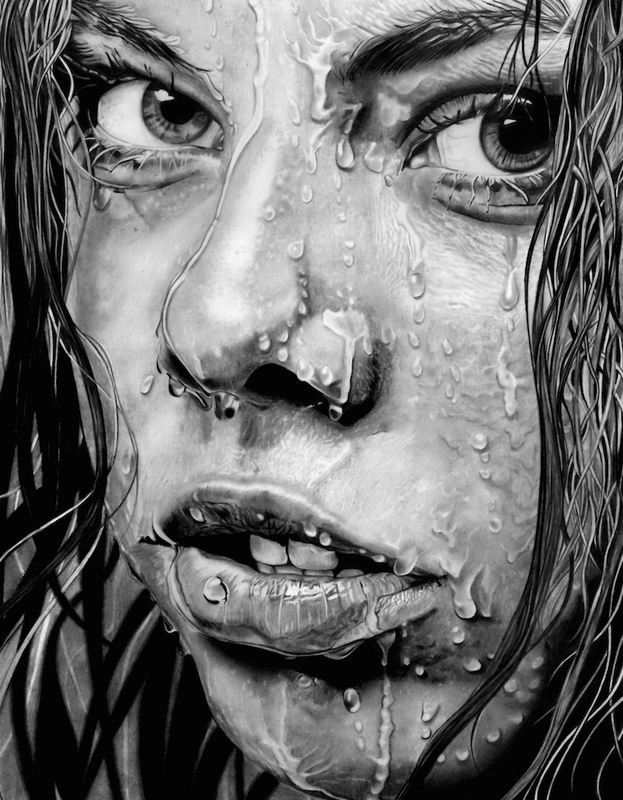 Categories: Dangerous Minds, Artists, Artwork, Sculpture.